$20 for HBA members and anyone interested in celebrating LowCountry Home Magazine. For every $20 entry, the Home Builders Education Foundation will receive $5. 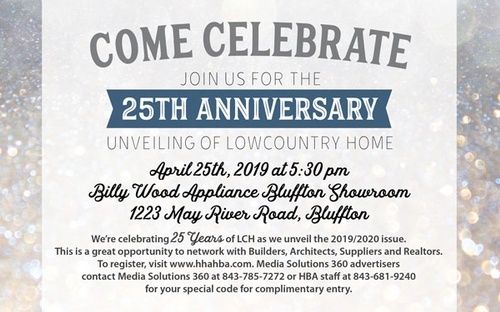 Celebrate 25 years of LowCountry Home Magazine on 4/25!